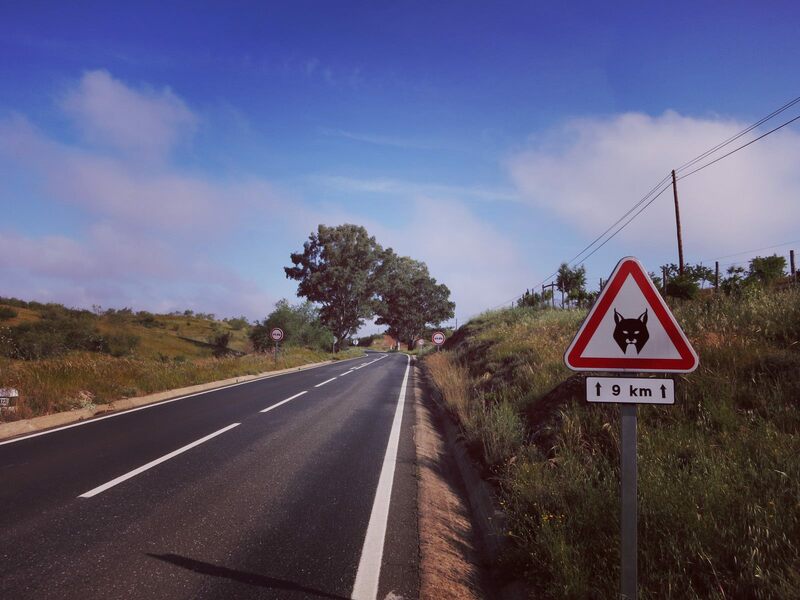 Here’s some inspiration for anyone thinking of a trip to Portugal… not my work but a gallery of photos from Bulgarian rider Nora Gavazova. 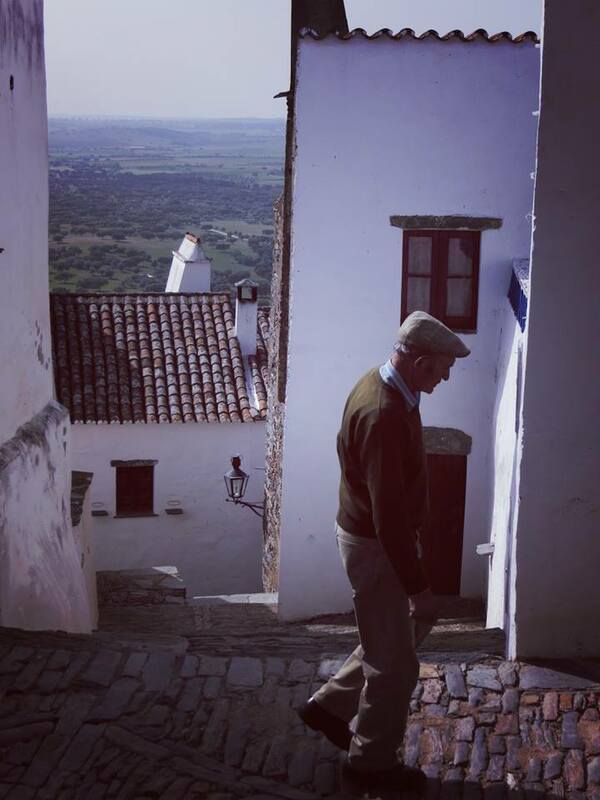 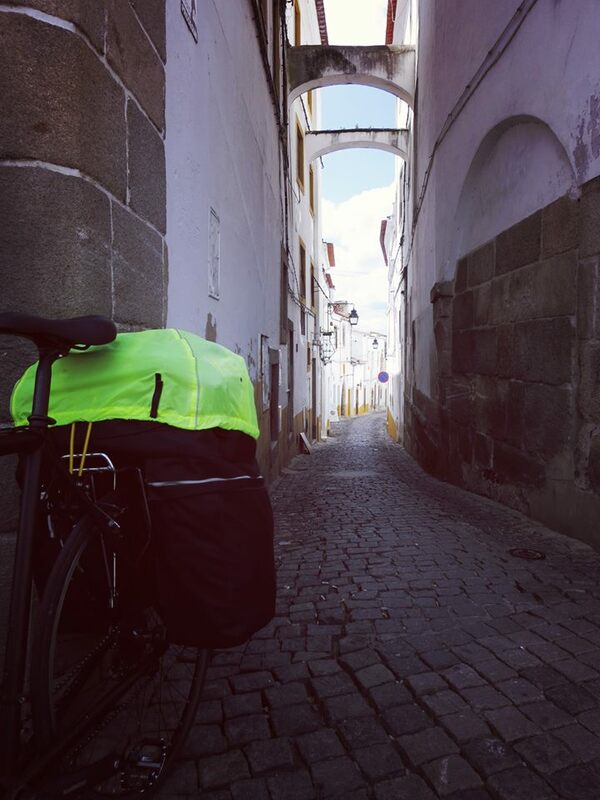 I was able to help Nora with some route advice while she was in the Alentejo earlier this year and she kindly sent me these pictures. 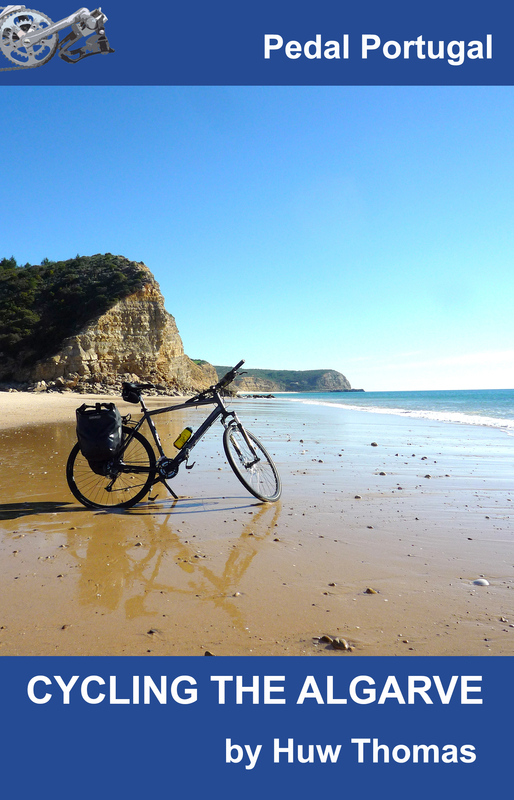 She’s also added some useful comments on taking bikes on local buses and a few good places to stay. 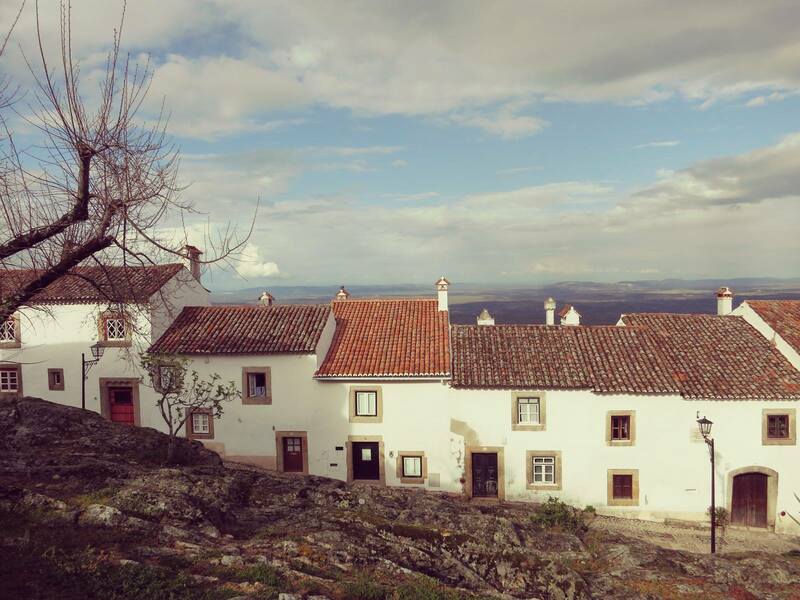 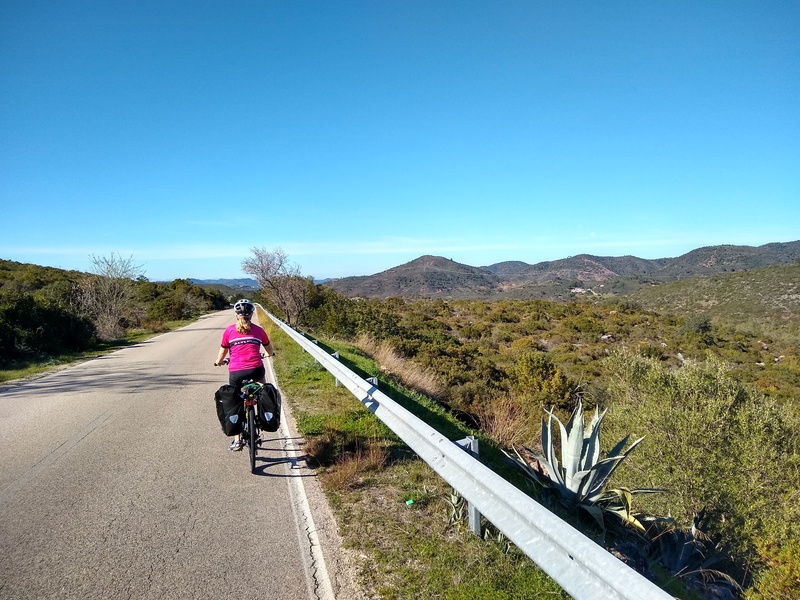 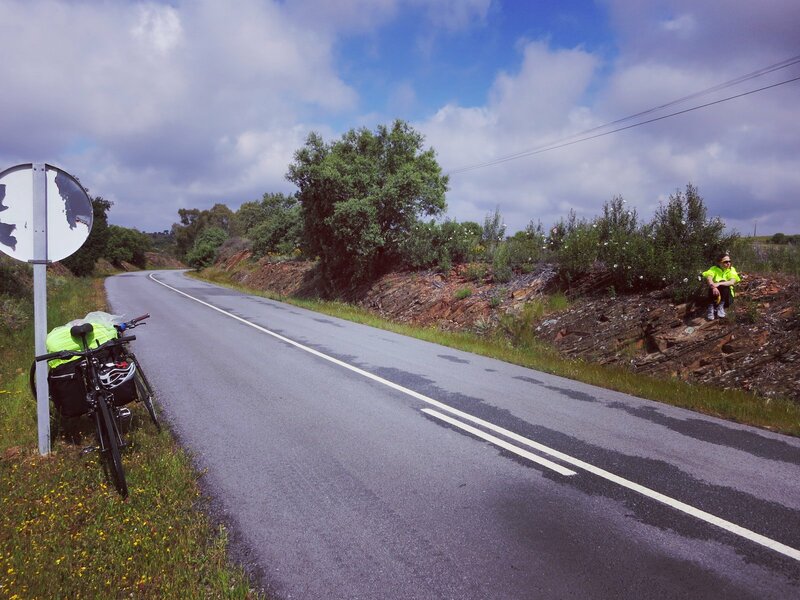 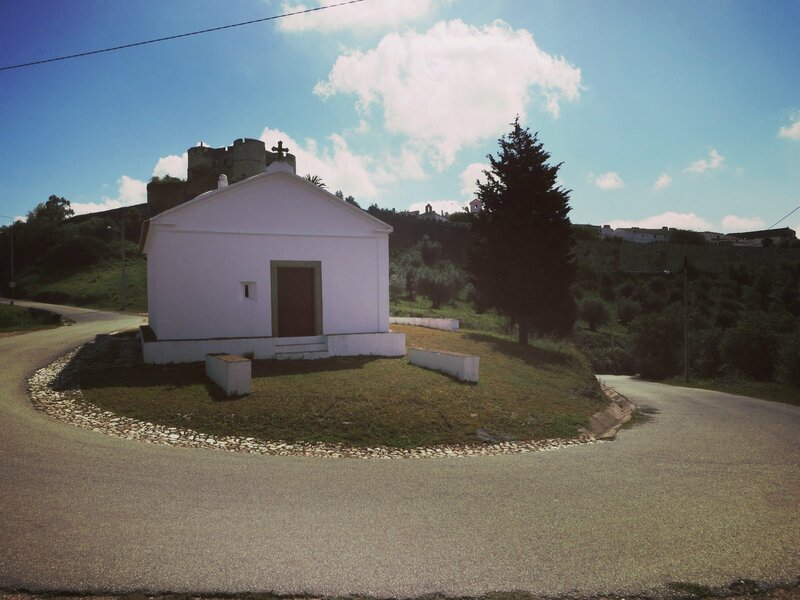 Nora and a friend rode from Monsanto in the Beira region down via Castelo Branco to Marvao in the Alentejo, continuing on via Estremoz, Evora, Monsaraz, Serpa, Mertola and Beja. 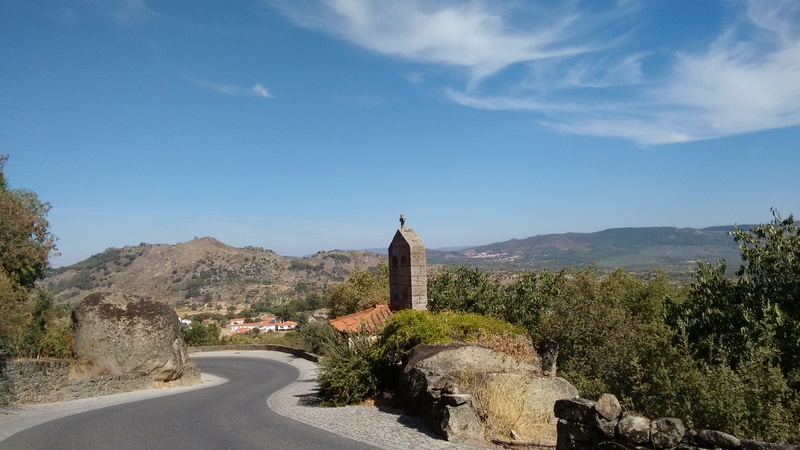 She said: “We very much liked Monsanto, Marvao and Monsaraz. 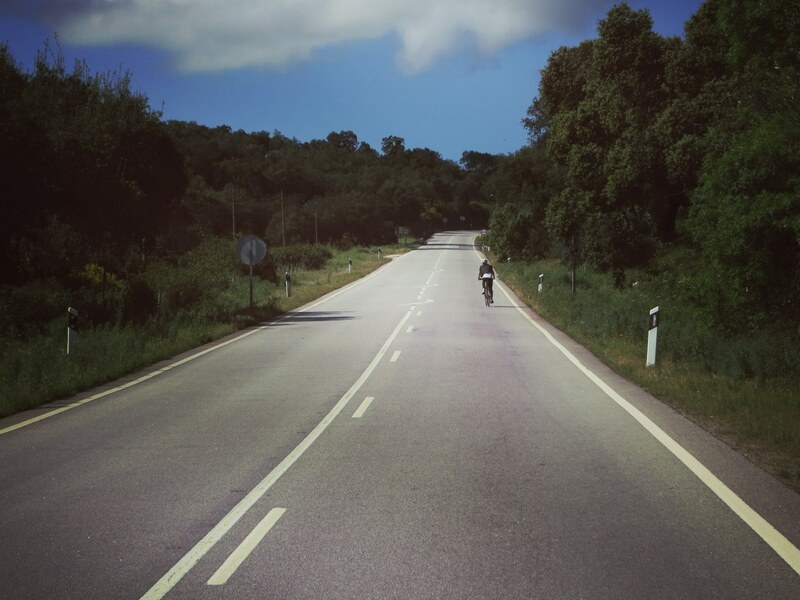 We had bad luck as there was a storm two days after our arrival in Lisbon, so we couldn’t ride on the first two days. 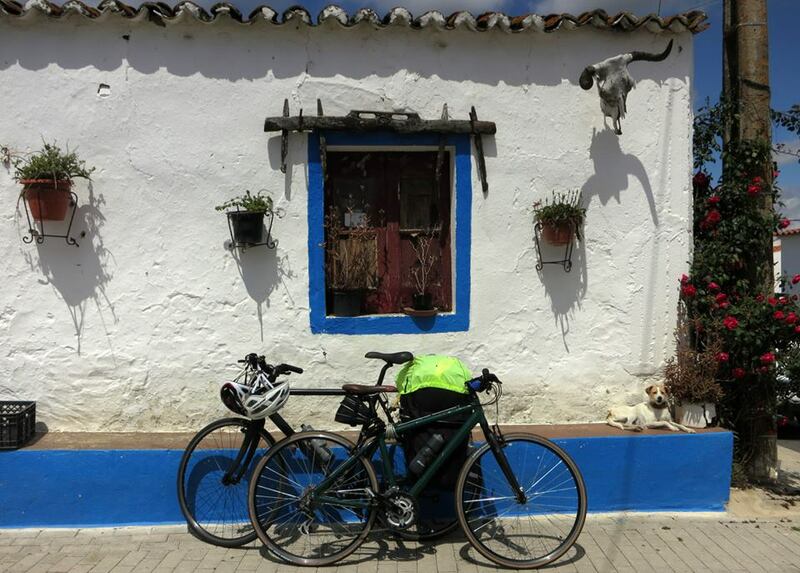 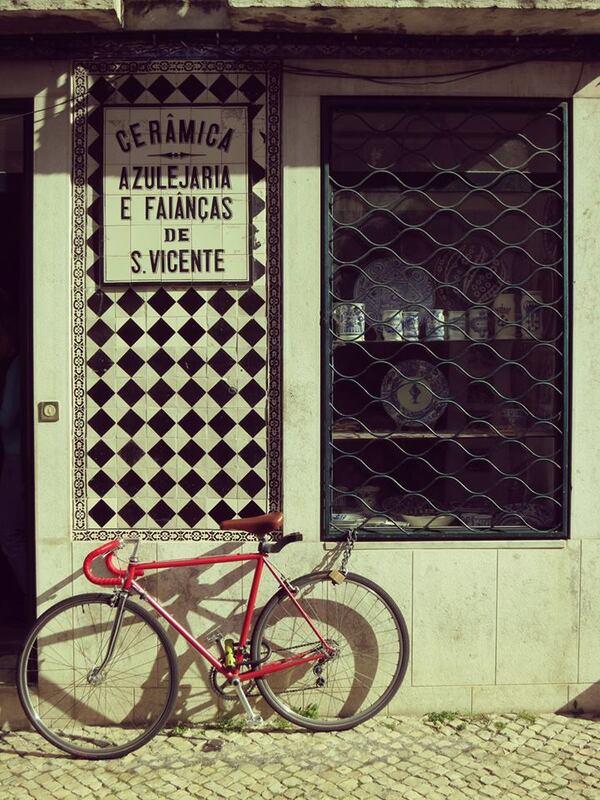 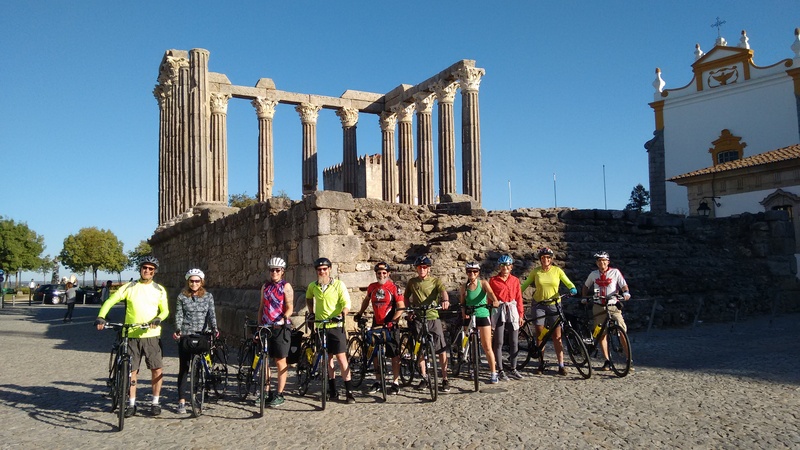 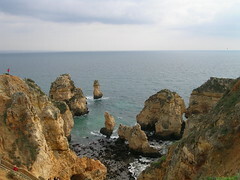 Nora comments: “We had our best rides from Marvao to Estremoz, from Estremoz to Evora and from Evora to Monsaraz. 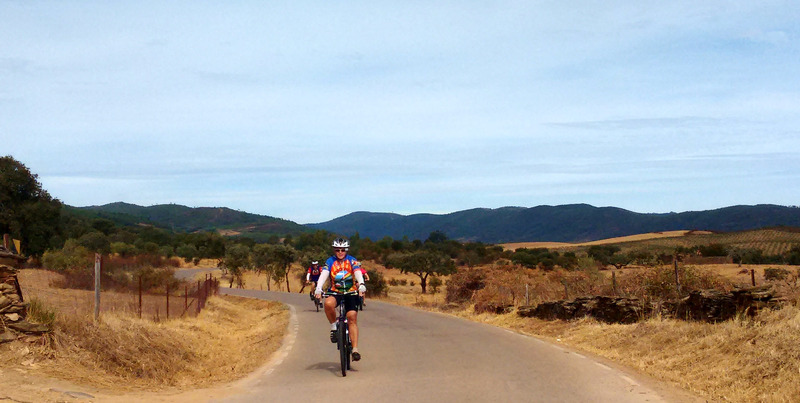 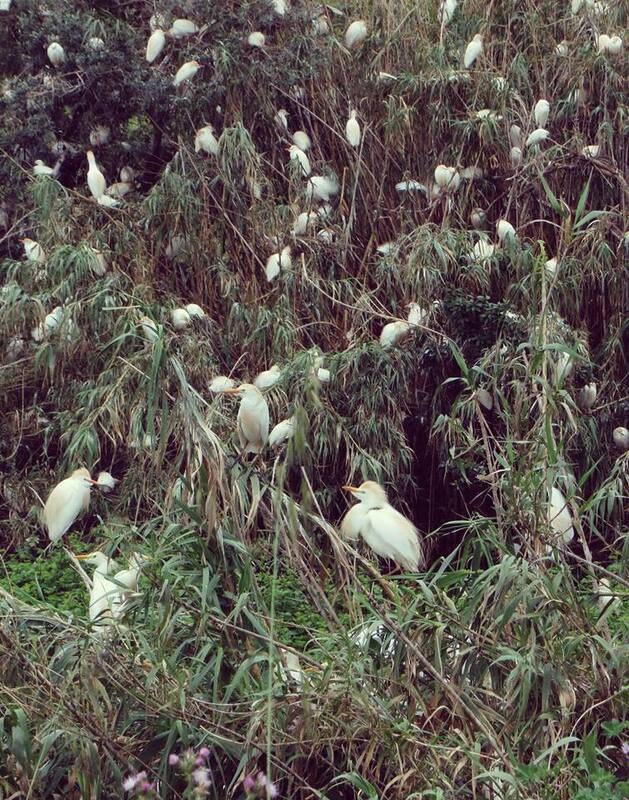 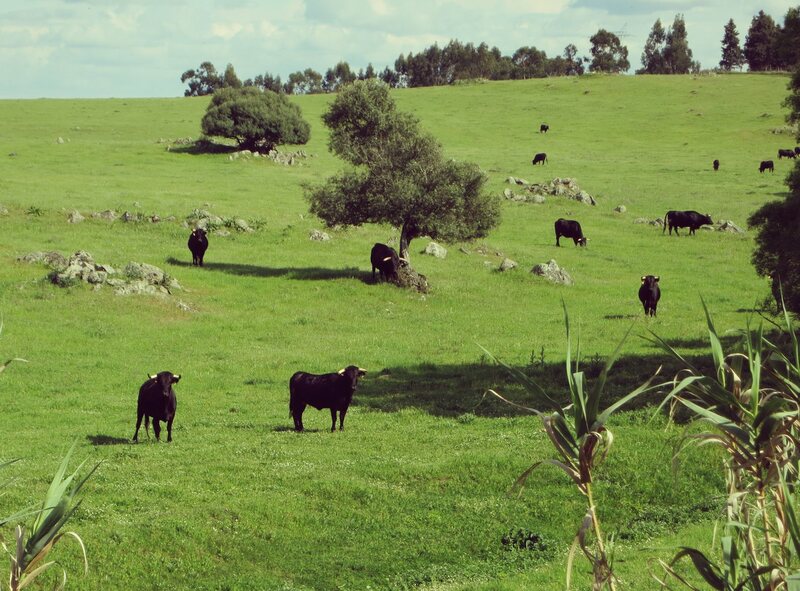 The landscape around Mertola was very beautiful, too. 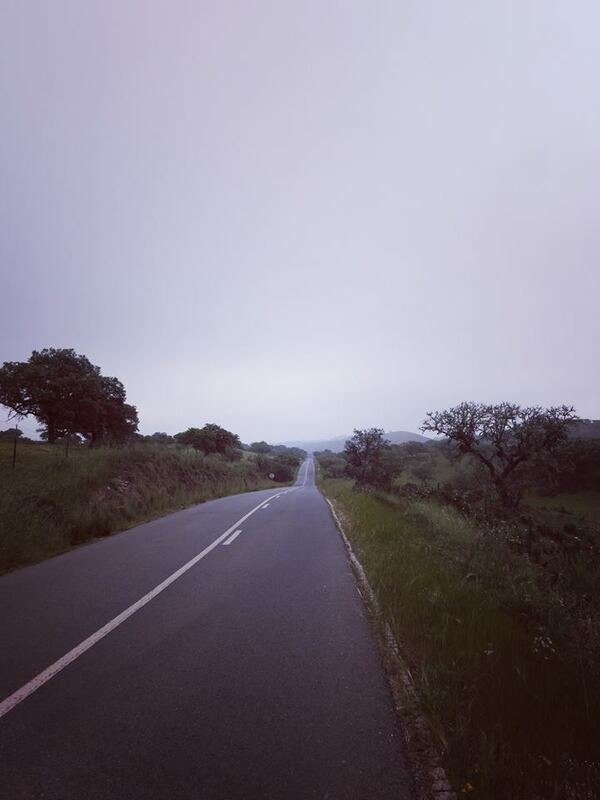 “Unfortunately, on the riding day we were most exited about – Monsaraz to Serpa, it was raining badly again. 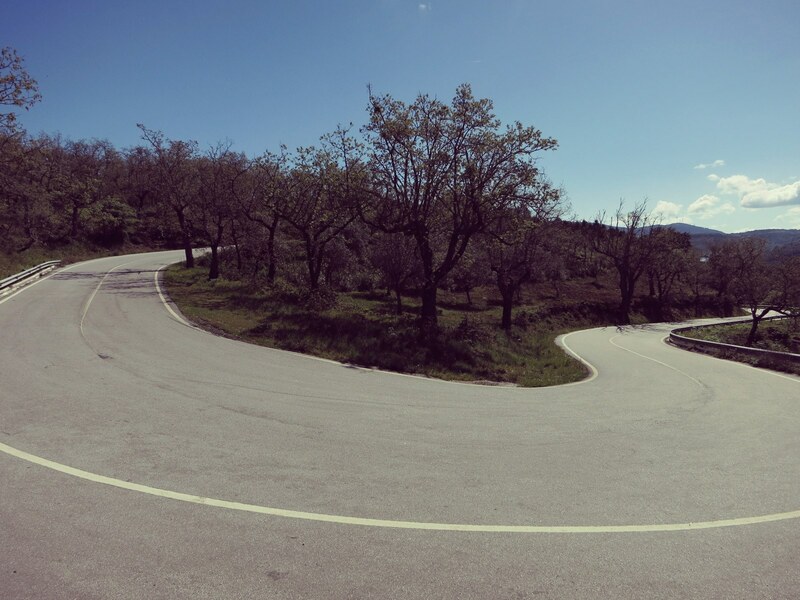 I still think, this would have been the greatest ride because the road went so beautifully just through the middle of the lake… We need to go back there some day.